Are you looking for new or used cars in the Pueblo, Colorado area? If so, Woodmen Nissan has what you’re looking for. With over 200 new vehicles and over 900 used cars, trucks, SUVs, and vans, you’re sure to find a vehicle to meet your unique individual needs. Our online search tool makes is easy to narrow your search before you ever step foot on our car lot. Online car shopping in Colorado Springs and Pueblo, Colorado couldn’t be simpler with Woodmen Nissan. You can use our website to find a car, sell a car you own, check out our specials, or schedule dealer service for your vehicle. You can even pre-apply for financing for the car you want or schedule a test drive! Why waste time driving around looking at hundreds of cars you have no interest in owning? Narrow your search online and save time all from the comfort of home with online car shopping at Woodmen Nissan. New car shopping in Pueblo can be tedious. That’s why we provide a user-friendly website to allow you to look around, research, and avoid sales pitches until you’re ready to talk to a sales professional. We also offer telephone sales support for those who aren’t into online car shopping and just want to talk to a live, knowledgeable associate before heading to the car lot. Give us a call today to talk a sales professional and get all your questions answered. There are thousands of used cars for sale in Pueblo, but do you have time to cruise sales lots and talk to dozens of sales people? We’re betting you don’t and want to save time and money while used car shopping. That’s why we make it easy for you to peruse our selection of quality used cars online. We have pre-owned Nissans, Chevys, Fords, Dodges, GMCs, Chryslers, Jeeps and more! We also offer the best selection in used Nissans in the Pueblo area. 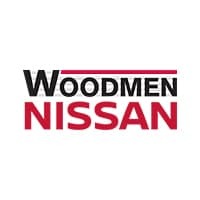 At Woodmen Nissan, we offer trade-in appraisals, financing, and exceptional sales and service with every new or used car you buy from Woodmen Nissan. Getting work done on your vehicle is never fun, but we make it more enjoyable with our sales and service rewards points. You get one dollar for every point you earn. You can even track your rewards and shop online. You can use you your rewards points at over 300 retailers that earn you more points to spend at Woodmen Nissan. When you need personal assistance, we’re only a phone call away. Call or stop by today. We’re open late Monday through Saturday to serve you. Our showroom opens at 8:30 AM and we don’t close until 9 PM each night, except Sundays. We’re located nearby at 6840 Vincent Drive, Colorado Springs, CO. Call us today or schedule a test drive or repair appointment online. For sales: (888) 491-2693, Service: (888) 577-6439, and Parts: (888) 310-0824. At Woodmen Nissan, we’re prepared to meet all your new and used car needs in the Pueblo area. Stop in today and test drive a new Nissan or certified pre-owned vehicle on our lot.